The Government were under increased pressure to create a more 'open' form of government, which lead to them developing the Freedom Of Information Act. Limited rights to access information were first granted in the early 1970's, which enabled members of the public access to local authority minuets reports and background papers. The Freedom Of Information Act was first suggested in Labour’s manifesto back in 1997, claiming it would give the public access to all information relating to public bodies. The concept was passed in 2000 but the full provisions of the act did not come into power until 2005. A second Freedom Of Information law exists in Scotland, which passed in 2002 and only covers public bodies within Scottish jurisdiction. It is an extremely important piece of legislation, especially for journalists, as it gives the public access to information held by the public authorities. 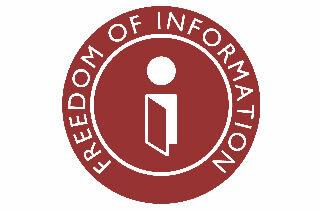 FOI is most used by the media, and has given them access to previously unobtainable government information. Tony Blair called the Freedom Of Information Act his biggest mistake as PM because it wasnt being used by the public, but by journalists as a weapon. A public authority's duty to provide an open and public 'publication scheme'. If a public authority receives a request for information, they must make response within 20 working days, either responding with information or an explanation as to why the information cannot be supplied. The act contains two codes of practise which provide guidance to public authorities responding to requests for information. What Information is Under the Act? What Does it Give Access To? It gives the public access to informations held by almost every Government department and public bodies. Information relating to policies, actions and decisions relating to the above. Part II of the code lists categories of information that will remain confidential unless the the harm of release would outweigh the public interest. Information is also safeguarded when there is a matter of National Security. There are 42 limitations to date which are subject to 'procedural' and 'substantive limitations'. The UK's security and intelligence agencies (MI5, MI6 and GCHQ) are also exempt from the FOI act. Government departments must disclose information once requested after the act providing it costs the department £600 or less. Any other public authority covered by the act must provide information if it costs the authority £450 or less. Staff time is deemed to cost £25 an hour. 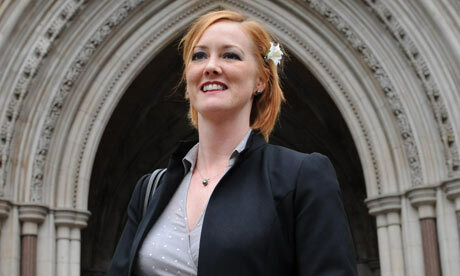 Journalists such as Heather Brooke have notably exploited the act in the past to reveal shocking information about leading figures among the public sector. Heather Brooke started to enquire into the details of MP’s expenses way back in 2004 where her queries were rejected for being too un-specific via the House of Commons Freedom of Information Officer, Bob Castle. But in 2005, when The Freedom of Information Act 2000, came into full force it allowed members of the public to request the disclosure of specific information from public organizations giving Brooke a clear path forwards. Brooke’s investigation into the expenses of MP’s showed how Journalism can successfully utilize the FOI act to find out news worthy information but it also highlighted the cynicism and rejection in which public bodies can throw towards inquisitive requests.